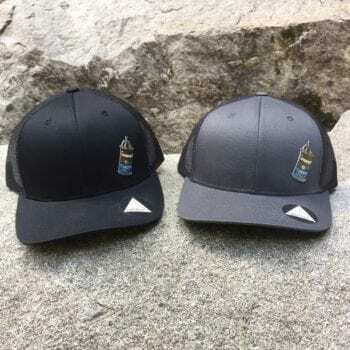 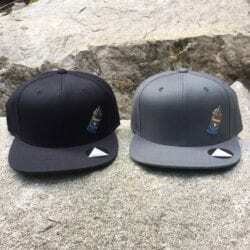 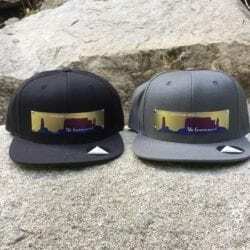 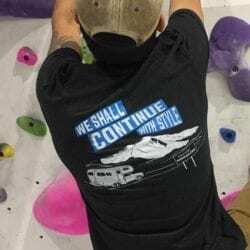 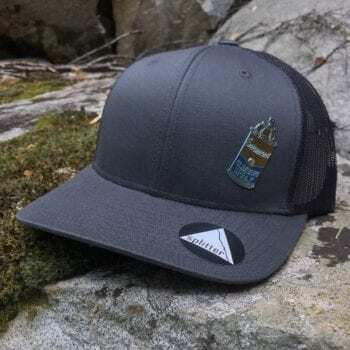 Home / Hat / Climbing Spray Can Hat – Mesh Back, Curved Brim, Adjustable. 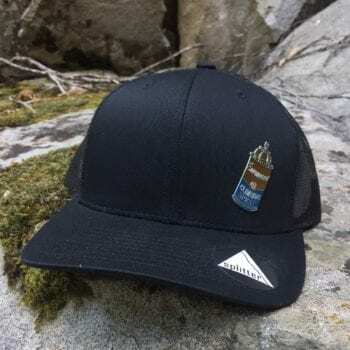 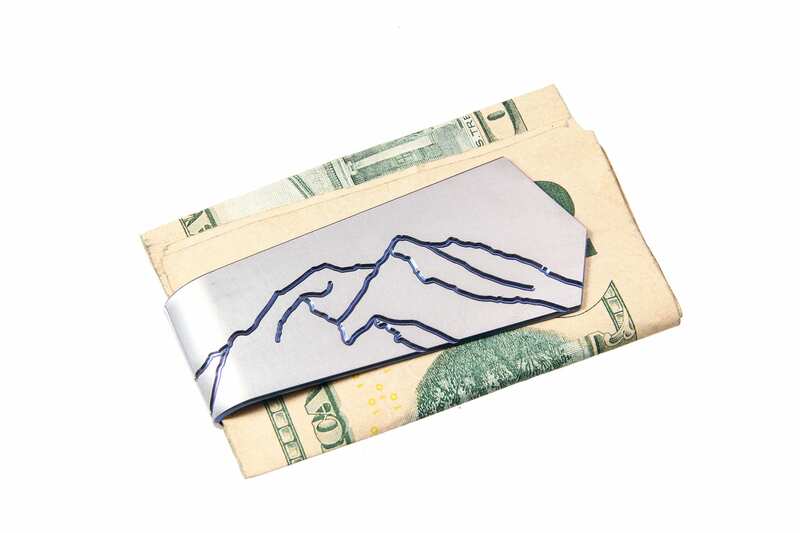 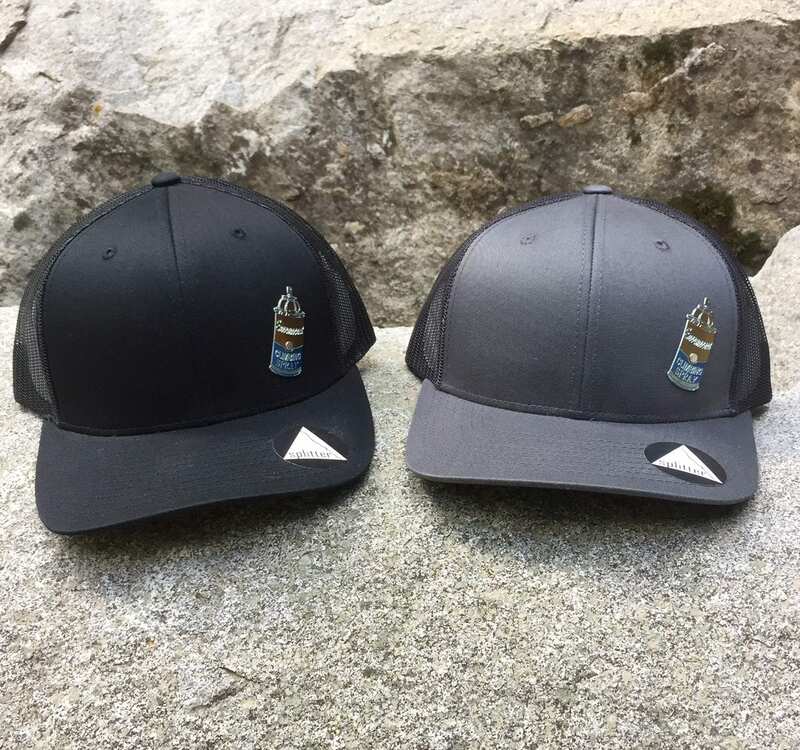 Custom made for the Enormocast by Peter W. Gilroy, the small titanium plaque on this curved brim, mesh back cap features the Warhol inspired Climbing Spray Can logo. 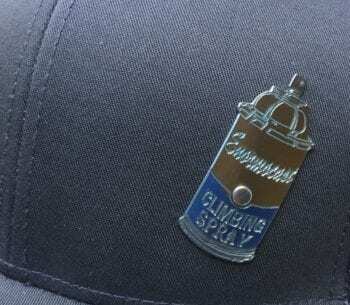 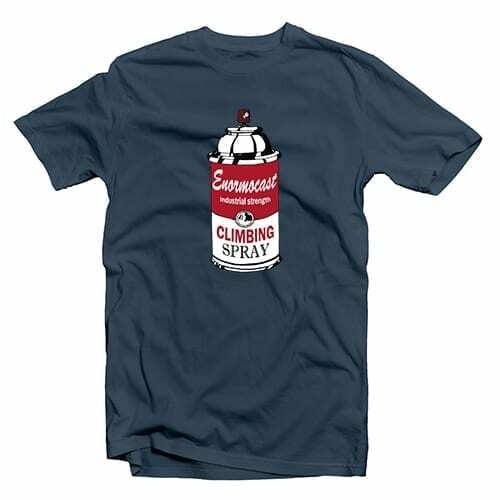 Custom made for the Enormocast by Peter W. Gilroy, the small titanium plaque on this curved brim, mesh back cap features the Warhol inspired Climbing Spray Can logo, and it may even stop a precisely placed bullet (ATTENTION: not guaranteed or a recommended use of this cap). 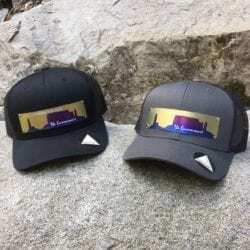 The hat will at least pronounce your support for the Enormocast while shading your eyes from the burning orb. Curved Brim, Mesh back, and adjustable.